Just what does a pirate need to be a pirate? As this innovative and humorous story unfolds, the reader finds it may not be as simple as it sounds. The captain receives a note (by bottle) from his mother instructing him in proper pirate etiquette. He has it all under control, except for a peg leg and an appropriate pet. 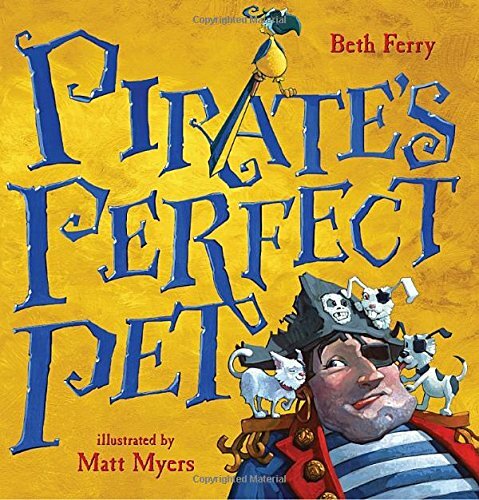 His crew sets out in search of a pet and hitting all the wrong places. The beach has crabs and octopuses (octopi?). Farm animals try to hide from the pirates. And pigs are too muddy. The farmer carts them to the zoon on his tractor, but the koalas are too cuddly. An added bonus is the lion causes a need for a peg leg. The zoo trolley leaves them at the pet emporium, where they reject pet after pet. (“Shiver me Shih Tzu!”) A squawk overhead reveals the inevitable parrot. With one last play on words, the parrot becomes the perfect pet. The illustrations for this work are beyond hilarious. 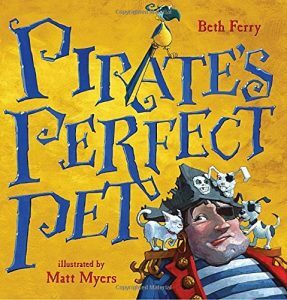 The main character is the stereotypical pirate, but no one else really fits the mold: female with eye patch and high heels, older guy in bunny slippers, fattened up lion, and anachronisms galore. 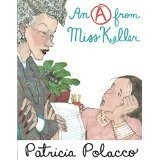 The only surprise after reading this book would be if a third grader weren’t thoroughly delighted and entertained. Younger kids would enjoy the fun, but repeated reading will give third graders the chance to practice literacy skills. 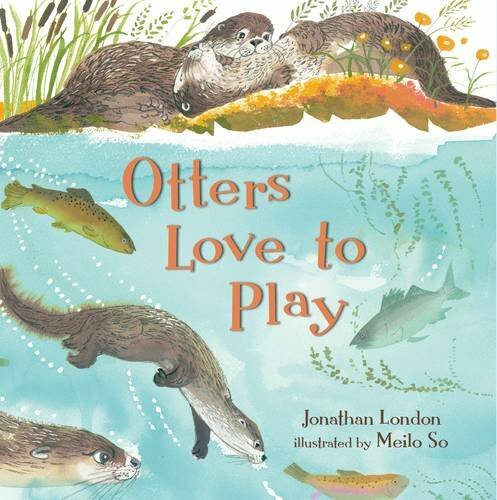 This new book is a well-researched tale about a litter of river otter pups as they grow and learn in their first year of life. It begins in early spring in the abandoned den of a beaver. After five weeks, the pups’ eyes open and the play begins. Their wrestling, chasing, and tug-of-war help the pups develop the speed and agility they need for hunting. The mother teaches them to swim so they can catch fish and eat other water-based delicacies. As they become more aware of their surroundings, they guard their territory. Throughout the winter, they continue to hunt and keep each other warm in the den. Then they play some more. 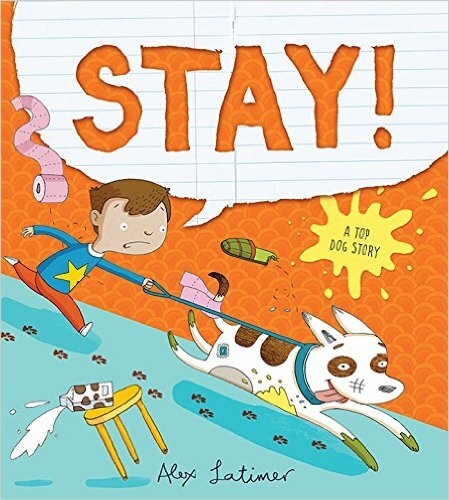 Extensive sidebars appear on every two-page spread so third graders can learn more about this lovable animal. Illustrations capture the playful nature and tenacity of the otters. As otters are part of the weasel family, this book would be valuable in the study of woodland creatures and in developing literacy skills. Fire! Fire in the White House! Run away, run away, but Dolley Madison didn’t run away. She stopped to save the famous portrait of George Washington. It wasn’t a quick trick, either because the frame was too heavy to manage. She instructed some workmen to cut the portrait out of the frame and carry it to safety. Don Brown’s biography begins with information about Dolley, including her charm, her ability to hostess wonderful parties, and her remodeling of the White House. He also tells readers how Dolley was actually related to George Washington by marriage. The muted colors used in the illustrations are representative of the time. However, children will enjoy the great amount of action depicted in the story and the pictures. Teachers and librarians can use this biography to meet the core curriculum standards in literacy and American history. The author’s note also includes an interesting discussion about the many spellings of Dolley’s name. Students might use this as a springboard to studying other names with multiple meanings. Madame Chapeau spends her days creating exquisite hats for her customers, but spends nights at home alone. Only on her birthday does she allow herself to go out for a special dinner. She dons a fancy dress and her favorite bonnet and walks the streets of Paris to the best restaurant in town (the tongue-in-cheek named Chez Snooty-Patoot). On the way, a crow snatches her beloved hat off her head. As she runs after the bird, a variety of people, including a baker, policeman, and cowboy, offer up their hats. She cannot accept their kind offerings, because she knows the hats are not a perfect fit. She arrives at the restaurant feeling blue when a little girl approaches. The girl gives the lonely hatmaker a present – a fuzzy cap made from yarn. Even though it’s silly looking, it lifts Madame Chapeau’s spirits. A hat made for her with such love and care is cause enough to celebrate. She invites everyone to join her for cake and never dines alone again. Educators and parents will have a ton of fun reading this aloud to young elementary school children. Beaty’s text rhythmically rolls off the tongue and bounces along in time. Brilliantly singular; one of a kind! Painstakingly chosen by Madame Chapeau. Third grade readers will love Robert’s illustrations, a feast for the eyes, as he pays homage to fashion editor Isabella Blow and milliners Philip Treacy, Stephen Jones, and Elsa Schiaparelli, among others. Fashionistas, big and small, will enjoy spotting some of the famous hat designs sprinkled throughout the book, such as Charlie Chaplin’s derby, Marcel Marceau’s crumpled top hat, and the unique hat worn by Princess Beatrice to the royal wedding of Prince William and Kate Middleton. 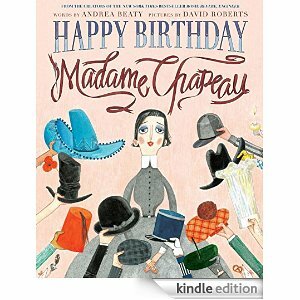 Visit the author’s website (http://www.andreabeaty.com/happy-birthday-madame-chapeau.html) for fun links on hat making. The inner workings of the wild prairie are on display in this engaging picture book. Written as a cumulative poem, it’s a celebration of a unique habitat. This is the prairie that nature built. Under the prairie that nature built. 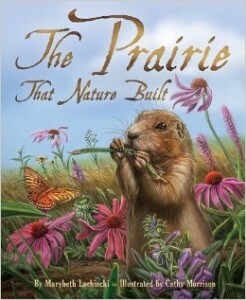 Young readers will gaze upon prairie dogs, ferrets, and snakes hiding safely in their burrows. They’ll see plant roots stretching deep underground to hold water long after the rains have gone. And they’ll learn how flowers, insects, birds and various mammals intermingle and benefit from each other. But on the prairie, there are dangers, too. Lightning can spark a fire, setting the ground ablaze and chasing the animals away. A pounding rain quenches the fire, leaving the blackened reeds to mix with the soil. Months later, from out from the ashes a green shoot sprouts upward. Life renewed once again. 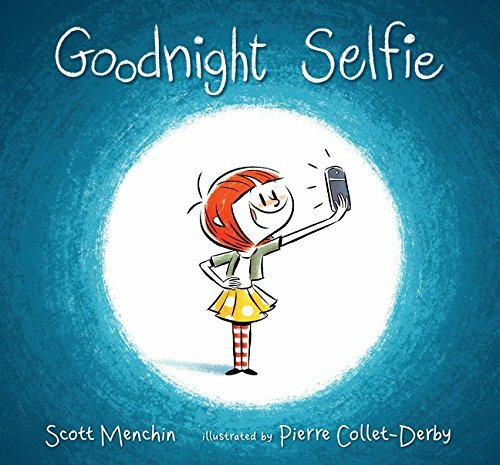 Lorbiecki’s use of rhyme, cumulative verse, and repetition will enhance the literacy skills of young readers. Dramatic text and images capture the beauty and vulnerability of this disappearing habitat. 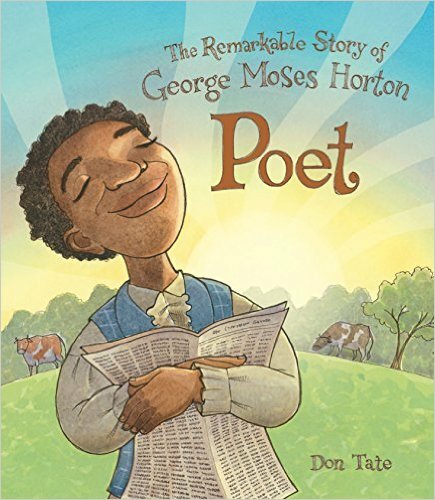 Morrison’s artwork is full of fine detail, which allows third graders to find something new with each reading. Back matter includes in-depth information on prairies, vocabulary and terminology, reading activities and additional resources. This book is also available as an interactive book app.